The 22pen: A Multipen for your Notebook | Inkdependence! 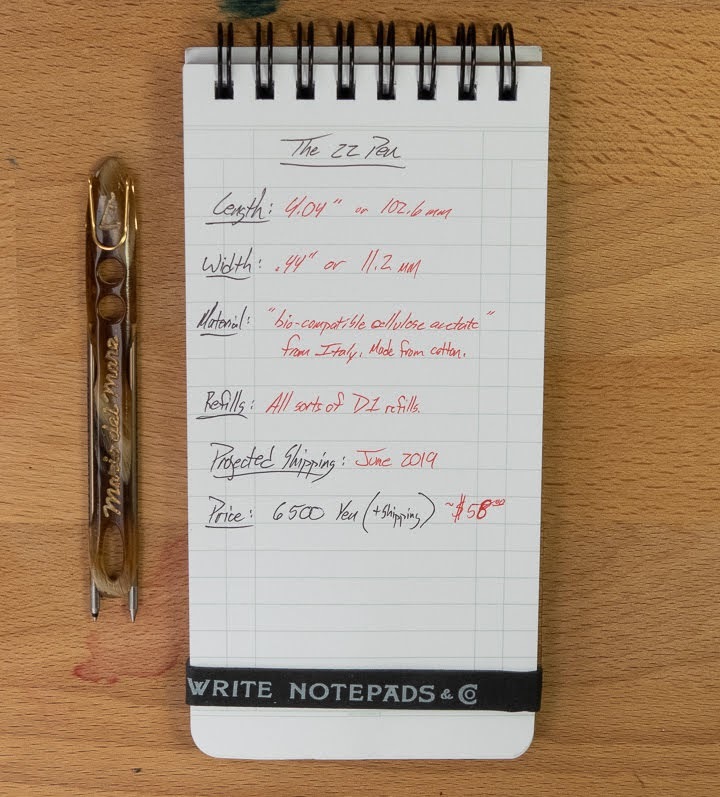 The 22pen is a unique thing. It's a multipen that is meant to live inside of your favorite notebook. Let's take a look at the prototype that Mario sent me for review. It feels really small in the hand, but the 22pen is about the same length (4.5") as other pocket pens. 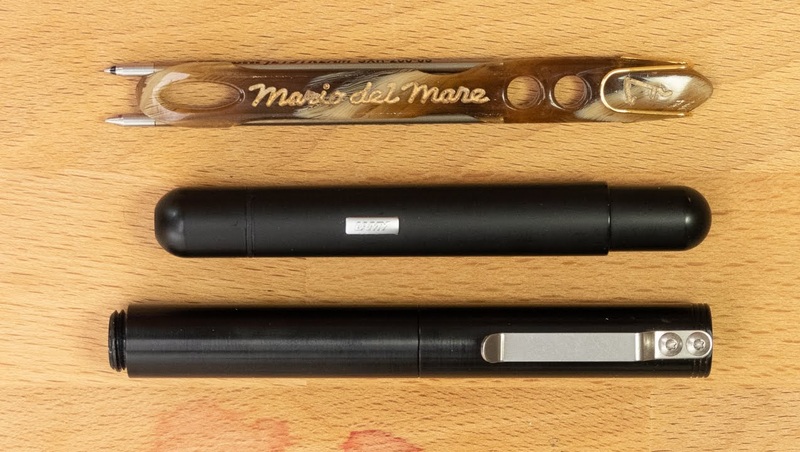 You'll see it above with a Lamy Pico and a Schon DSGN pen. Both of those are more substantial in the hand. 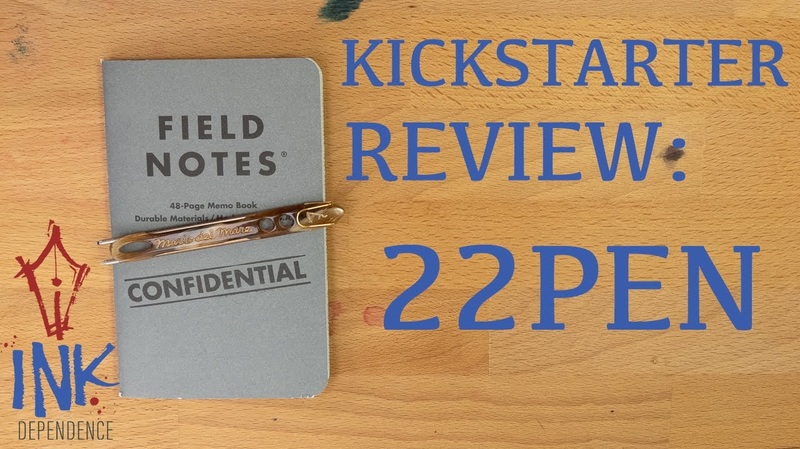 Unlike those two, the 22pen is flat, and it isn't capped. 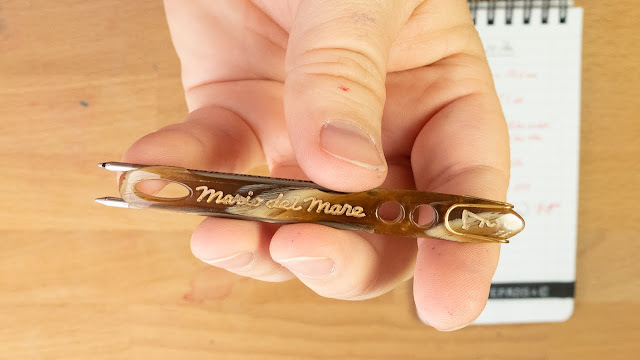 Mario tells me that he's working on a solution for those of us who like to carry pens in our pockets, but I'm not sure what form that will take. The 22pen uses a pair of D1 refills, and those come in a variety of tip sizes and ink colors from many different makers. My favorites come from Uniball's Jetstream and Monteverde. This two refill system is pretty great. I love a multipen, but you have to do some twiggling to get a standard multi pen to switch refills. The 22pen just sort of flips over in your grip. It's quick, easy, and intuitive. Very useful when you're taking quick notes and notes about those notes. I do that sort of thing all the time, and this has been a neat pen in a couple of meetings where I needed to work quickly and use multiple colors. The little color bands at the bottom of the refill do tend to wear off, but that's a really minor issue, I think. 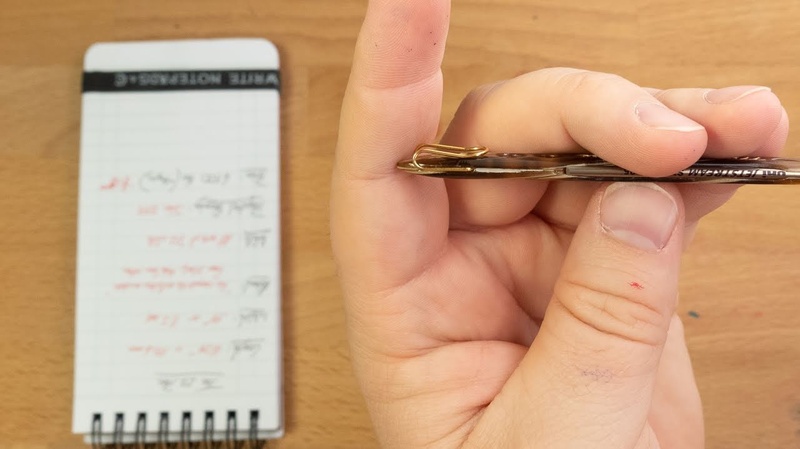 You'll also notice that the clip of the 22pen is quite small. 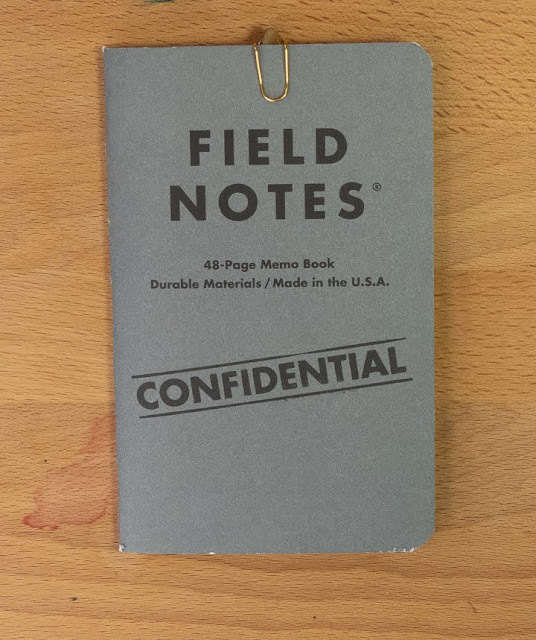 That clip is plenty strong to hold on to your paper, your notebook cover, or your pocket (if you're a little brave). 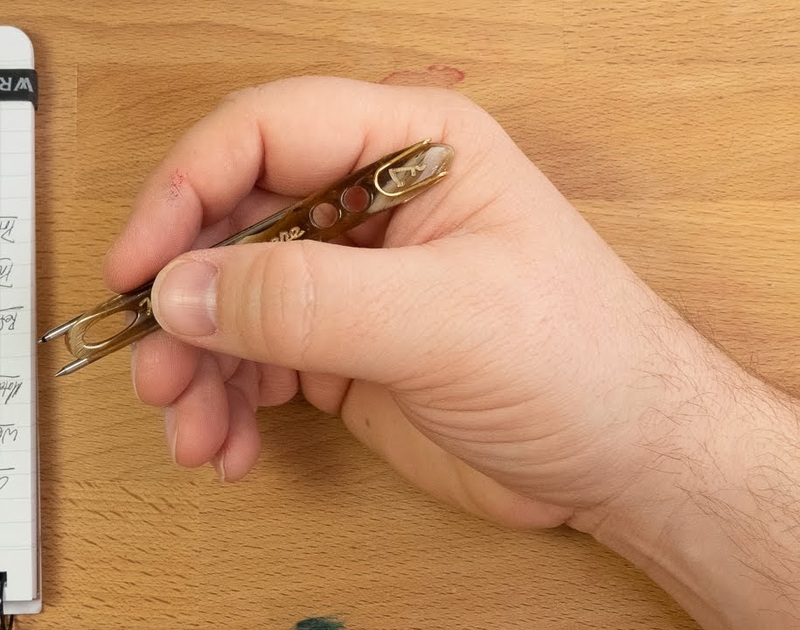 It's attached with spring tension, so you can remove it and tighten it if you need to. I did, and it wasn't difficult at all. As you can see below, it's just a little short in my hand. Keep in mind that I have large hands, but Mario assures me that he's going to work up a long version to compensate for those of us with big ol' mitts. I can write with this pen fairly comfortably, but a little extra length would keep it from slipping while I write. So, this is the intended use of the pen. 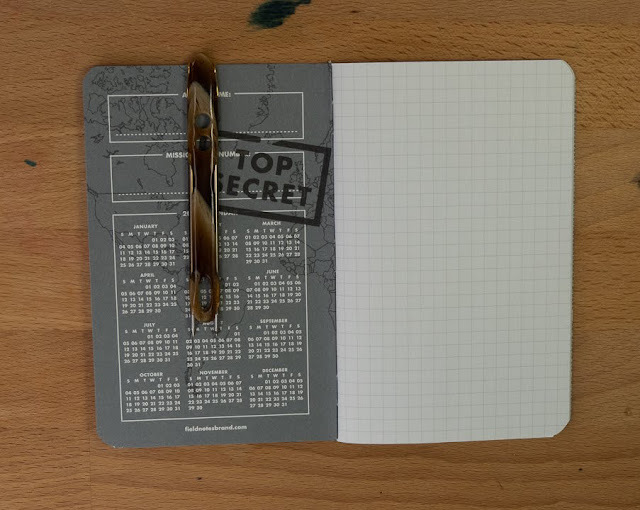 It's meant to go inside your pocket- or passport-sized notebooks so you can keep them in your pocket with a convenient pen for notes or drawing. So, I was dubious about this pen when I first saw it online. It's a bit weird. It's small. And it's a little expensive. Once I got it in my hands, though, it turns out to be a really good idea that just needs a couple of tweaks to be a really useful tool.